The Working Group was commissioned by international parlimentarians and is hosted by the American civil society group, The Anti-Defamation League. The group has many representatives from Internet industry groups and many have publically endorsed the agreement. 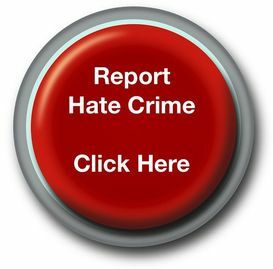 "Successive UK Governments have recognised the damaging impact of hate material shared on the Internet, both in terms of the harm caused to those targeted, but also in the motivation it provides to those who are capable of carrying out violence. All States share a responsibility to prevent damaging hate speech, whilst at the same time ensuring the important right to freedom of speech; however no State can do this effectively on their own. The UK Government’s Hate Crime Action Plan recognises the need to collaborate with Industry hosts as well as with other states to find shared goals. This document is a vital first step to addressing these challenges, as it is the first time the fragmented industry has worked to collectively demonstrate their commitment to these two, often conflicting rights. The challenge now is to get all industry groups to support the document and to embed its recommendations in relation to the material they host." You can see the guidance and the responses of many Internet Companies here.